Keeping a diary or journal is an ancient tradition dating back to 10th century Japan, and has been common practice for many acclaimed creative individuals. 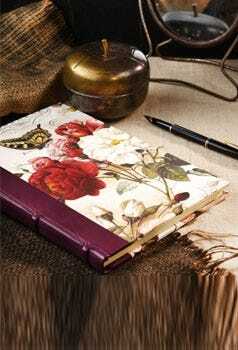 Oscar Wilde, the 19th century playwright and novelist, once said: “I never travel without my diary. One should always have something sensational to read on the train”. It seems Wilde was wise, as there is increasing evidence suggesting that keeping a diary has a positive impact on your well-being. From reflecting on emotions to kicking the keyboard habit, we take a look at why putting pen to paper can serve as a powerful life tool. Write down any negative thoughts you may have. Rewrite this thought in a positive light. Focus on the positive thought and imagine it to be true, as it may well be. It’s just as important to acknowledge why you have certain goals, as it is to list the goals themselves. This enables you to look back and remember the reasons you have for the choices you make. It’s all part of a learning process. What Should You Write in Your Diary? As opposed to writing on public or social network sites, a diary can and should be more private. It allows you to explore your personal feelings about important events that are happening in your daily life. It's important that diaries remain a space for you to write freely and honestly. For some, it may be that sentence structure is forgotten in favour of expressing feelings and thoughts as they naturally arise. After all, it is a matter of self-reflection and not for others to read. When Should You Write In Your Diary? There is no right frequency to update your diary. However, a routine can be helpful helpful in giving you the space and time you need to write about your thoughts and experiences. The most common approach is daily writing, which can be a reflective routine exercise to keep a close eye on what you do every day and monitor where your life is heading. However there are many ways to approach your entries, and writer Gretchen Rubin came up with the idea of adding just one sentence per day as part of her Happiness Project. Another common method is to write weekly summaries that bring together the highlights of the past week. Taking a weekly approach normally gives you more to write about, and frees your time during the rest of the week. An interesting study found that when writers kept a gratitude journal, adding to it every six weeks was the most effective timing in boosting happiness. How Should You Write Your Diary? According to a recent British survey of 2,000 people, one in three respondents admitted that they had not written anything by hand in the previous six months. However the University of Indiana recently published a study that suggested writing by hand enhances the neural activity of the brain far more than a keyboard. Whilst online journals and blogs may help to express feelings within an anonymous community, the physical writing of pen on paper in a private setting is an emotionally beneficial practice proven to help writers. A diary is more than just a book, it’s a tool that you could be using every day, so it’s worth making sure you find the right one. By spending a little time to find out what diary is right for you, you can make keeping a diary an enjoyable and productive experience in 2015.